Okay, for anyone who doesn’t know, this was the book my sister chose for me in our sisterly Bookish Dare. AND, since my sister knows me so well, she guessed that I probably would want to stop reading this, but she told me to keep going. I’m so glad that she did. Let me say this, the only reason I would have stopped reading this is because I’m a wuss. I’ve admitted this before. It took me years to finish Hunger Games because it reminded me of Lord of the Flies. I get nervous when books start getting too intense and sometimes I put them aside. But, in this books case I persevered. Pierce did a phenomenal job all the way through. From his characters to the setting to the over all story, I was intrigued from the get go and almost wished I could see it playing out before me. I squirmed at some instances and laughed at others, this was definitely not a lighthearted read, but such a good one in the end. I loved the fact that Darrow struggled throughout the story, not only with his sorrows, but also with finding a balance with the Golds. Infiltrating was one thing, but maintaining his status and remaining vigilant was something else entirely. He wasn’t perfect, in a world where Golds considered themselves just that. After reaching the end, I couldn’t wait to start the second book in this trilogy and learn more about Darrow’s journey to take down the Golds. And with Pierce coming to my neck of the woods in September, I have even more of an incentive to get caught. 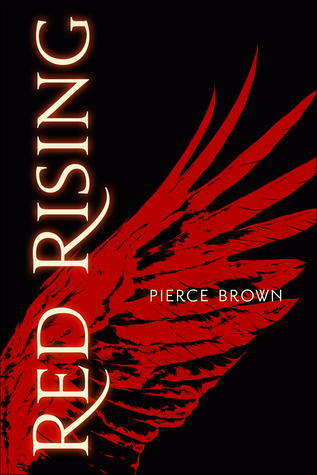 Hopefully the wait for book 3 (Morning Star) won’t seem nearly as long now.